Charging time = ( Ah rate of the pack x 1.5 ) / 2A charging current. LED Indicator Red LED show Battery charging and Green LED shows full. 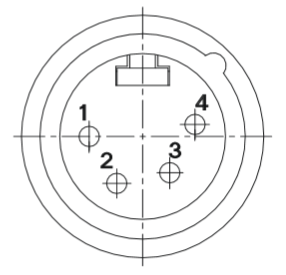 Must plug Standard Male Tamiya end to the Standard Female Tamiya plug of the charger with correct polarity. CH-L37V20-V5: XLR Male 4 Pin, Pin1: positive; Pin2: negative. Don't use the charger for lower/greater capacity Li-Ion battery pack. For international use, please order the AC plug adaptor seperately.